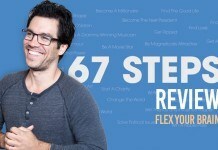 Here is my long awaited Tai Lopez review on his popular 67 steps course. If you don’t know Tai Lopez by now, then you haven’t been on YouTube, or you live underneath a rock. He is YouTube’s most popular channel. The 67 steps is an awesome collection of wisdom that Tai has accumulated over the years from his reading and listening to his mentors. This wisdom (knowledge in action) is from the best and most successful people in history. This course is not a get rich scam. This course is geared on giving you the tools to reprogram the way you think, change your mindset, and beliefs. This Tai Lopez review took me a lot of time and effort to create so I hope you get a lot out of it. If you find this article helpful or enjoy it, please consider sharing and liking this with the icons above. Your action really helps me out a lot in growing this website. The post is pretty long so make sure that you bookmark it (CTRL + D) and come back later! Do I think Tai Lopez is a Scammer? 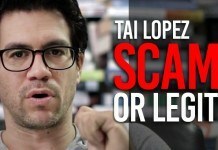 Visit my in-depth article on my own Tai Lopez Scam Investigation. Psst! Are You STILL Looking for the 67 Steps in PDF format? I have completed the 67 steps, it takes roughly 60 straight hours to finish everything! It is EXTREMELY time consuming. For your convenience, I have created a downloadable PDF that provides you nononense, straight to the point summaries of ALL of Tai Lopez’s 67 steps. Get it now, print it out, and start working on all 67 steps. It’s super affordable and I only ask for a small contribution for the amount of work that I spent on it. Bottom Line: Do I Recommend it? Below is my 67 Steps Review. I discuss the program structure, the negatives and positives, and whether or not I’d recommend the program to anyone. If you are looking for my LONG summaries, keep scrolling past the review. Video Lessons: 67 Steps are Video Lessons lasting 30 min to 1 hr long. Online Community: Interactive community where you post and journal about the questions inside the 67 steps. Users can comment and encourage one another. Phone Calls: Monthly phone calls with Tai’s team to consult your questions, progress and ideas. Bonus 1: Book of the Day summaries emailed to you. Bonus 2: How Tai Lopez Reads a book in 10 minutes. Cancelling: When you cancel you lose access to the video lessons and monthly phone calls. Payment: This is a monthly payment through clickbank, however, you can just cancel after one month. Lots of Examples: He provides extensive examples to help you understand the certain foundational ideas that may seem difficult. Detailed Explanations: He really provides detailed explanations and comprehensive logic to his concepts and explanations. Guarantees / Refund: Tai offers a money back guarantee through clickbank. 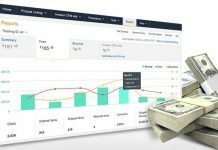 CLICKBANK: If you don’t know what clickbank is, it’s a highly reputable service that is the middle man between the buyer and seller of a product. They are awesome at refunds so this subsided my worries when I ordered. Not as Transparent about pricing: The pricing on the website makes it look like you’re just going to pay $67 for one time – HOWEVER if you read the fine print, you are paying $67 a month. This is easily solved by canceling the next month’s payment. Cancelling: Some people have had trouble cancelling the 67 steps, this was prior to clickbank though as I’ve had no problems whatsoever. Production Value: There is no editing of the videos – this is minor though since I only care about content. Videos are long: Some videos are long and drawn out and I feel like they could have been summarized in half the time. You still get good content. But, everybody has their own way of teaching. YOU WON’T COMPLAIN about steps being too short. Sale Tactics: His ads are everywhere! It gets a little annoying sometimes. He teaches you about something called “cognitive biases” and I find it ironic that he’s used the very cognitive biases that he warns you about to sell you the “67 steps”. Haha! But, what else does a salesman do? And in reality we all use cognitive biases when we try to influence people. At the end of the day, everyone has their selling tactics… I just think the selling tactics behind the Ferrari and big mansions aren’t really necessary ( a bit tacky IMO) but who knows maybe those ads tested well for him. This is a minor complaint because what matters to me is if it’s a good product or not. Reiterates: If you’ve heard his YouTube videos, then his delivery is very much the same. He reiterates his points a lot and may rehash a story 3-4 times. This may seem annoying and inefficient for some people to have someone repeat the same things over as they feel like it wastes time, however, for me it helps hammer the idea home so that you actually remember it. Repetition is one method to remember things. I actually find reassurance in the reiterations because it reaffirms the idea, however, it might not be for you. Check out Tai’s website for The 67 Steps program. Feel free to use my summaries. However, if you decide to buy his program through my link, I’ll give you my convenient 16 page study guide for FREE. It summarizes THE WHOLE 67 steps in a clear and concise way. You could probably buy 3-5 books and spend a month or two sifting through them to pick up all the info that Tai is giving you in his 67 Steps. I don’t like the monthly recurring charges (It’s easy to cancel though), his videos are long and he bounces around off topic, but offers a lot of personal anecdotes and experiences. Despite those complaints, this is a solid buy, and it was definitely worth the $67 for me. If you can’t swing the $67, just use my summaries below, as for me, I learn better when someone is talking to me. So if you’re here, you’re probably on the fence on whether or not to buy Tai’s program. So the question is, would I recommend it? Well, it depends. If you’re like me and you like to improve yourself and look at things differently then I definitely recommend this to you, and it is definitely worth more than the $67 in my opinion. There is SO much information out in the world today and it’s hard to decipher what’s good information and what’s bad information. Tai devours information, and he becomes the filter for you saving you time. Instead of searching, buying, and reading 67 books, Tai has aggregated the best of the best. Also, Tai has real world experience and has witnessed the principles he talks about, he’s walked the walk, so he’s just not a talking head that is just regurgitating information. Remember: if you do decide to buy Tai’s course from the link above, I’ll give you my complete study guide that will help you learn all of the steps in an easier / digestible way! Check my post on Tai Lopez Books & Recommendations. Can’t find the time to read? Want to learn more in less time? 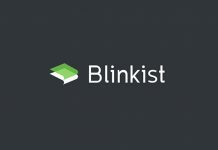 TIP #1: To learn more in less time, I use a service called Blinkist and give it my highest recommendation. See my Blinkist review here to find out what it is and how I use it. TIP #2: If you want to read more, you have to learn how to read faster. Another great tool I love using to increase my reading speed is 7 Speed Reading. It’s software teaches how to read the right way with the correct techniques and exercises. Definitely worth it if you want to drastically improve in this area. Tai Lopez’s first lesson is that we need “to be worth a damn” and to “deserve it”. This chapter contains a variety of information that will be discussed more in depth at later times in the 67 steps, it serves as a overall summary and driving force for the 67 steps. Be Worth a Damn Factor: People who are “worth a damn” do certain things that other people don’t. They invest in themselves, their health, their minds, their relationships, and their finances. They respect themselves and place value into themselves. To increase your “Worth a Damn”: Add wisdom, remove ignorance. Ignorances are things that you’ve been taught such as “people who don’t go to college are not smart”. See, degrees can be worth something or they can be worth nothing. Wisdom could be learning anything. Deserve it Factor: To get what you want, you have to deserve what you want. If you want success, you will need to be worth a damn and you need to deserve it. To increase your “Deserve it” Factor: This is a bit more challenging. You have to push yourself, challenge yourself, force yourself out of your comfort zone. Tai Lopez suggests that you need to take yourself seriously and invest in yourself. Become a better version of you and improve in the areas that you need to improve upon. Are you adding any value to your life and others, or are you becoming wiser and wiser every day? Are you improving yourself and GROWING every day? If the answer is no, or you “don’t know”, then you need to start. Two ways of developing yourself is reading BOOKS and practicing what you’ve learned from others. You can learn anything and everything from books. It is incredible that we can learn from other people’s lives and mistakes and download all their information into our brain via reading it. That is the power of reading. If you are a slow reader, you’re going to have more difficulties succeeding and reading the books you want to read, especially with the mountains of information we’re expected to know these days. It’s crucial to learn how to read faster. You can start by looking up Youtube videos on the subject however I have found that the best way to drastically increase your reading speed is taking the program/software 7Speedreading. I’ve been through a lot of books and programs and they have the best course on the market that I personally use. They teach you the best techniques from world renowned experts in reading and productivity. The software trains you step by step to develop new reading habits and discard bad reading habits. If you’re reading around 200 wpm (the rate at which you speak) then this is a no brainer. I don’t care what you do or buy, just TAKE ACTION to try and increase your reading speed. If you can’t find the time to read, then let I would HIGHLY recommend investing in a book summary service called Blinkist. The amount of time it will save you is totally worth it, and it’s really not that much, like $4/month. It cuts out all the fluff and allows me to see which books are worthwhile to buy later. I have the upgraded account that has the audio summaries. I love this feature, because I’m constantly on the go listening to the best ideas and important information of new books and making the most out of my time when I’m commuting to work. You can also invest in audible books, however, I like variety and I tend to get bored with my attention span. Definitely check our their free trial here. Practicing often increases your odds. Later you can refine your practicing to practice smarter. But you MUST put your knowledge to use. If you don’t, it remains useless and you’ll probably end up forgetting it. Michael Jackson practiced his simple spin 8 hours a day in the mirror video taping himself. Michael Jordan, told his coaches at the end of the basketball year at UNC and told them he was burned out and needed the summer off, they understood. The next morning the coaches entered the gym and there was Michael Jordan on the court practicing. These two examples of Michael Jackson and Michael Jordan demonstrate not only practicing hard, but learning how to “love the grind” that is one of the keys to success. What are you doing to “deserve it” more than the next person that comes along or who is practicing more than you? Why name it 67 Steps? This PDF from the Univserity of London Study – How Habits are Formed found that the average amount of time to create a habit and rewire the brain is 66 days. And of course, some people associate 66 with negative connotations, so one more step was added on for good measure. The whole 21 days to build a habit is really a myth based on a popular book in the 1960’s, Psycho-Cybernetics – (Free Text). In my engineering job, a lot of the times you have to think backwards to deconstruct something down. You can apply this to a lot of problems in life, reverse engineering any sort of desirable outcome that you want to achieve is a pretty good strategy to have. Like a hard math problem, look for models and proven solutions and then work backwards to see what you need to do to make it work. Warren Buffet’s thought experiment is taking success and reverse engineering it. Warren gives you a hypothetical question. If you could go back in time to your high school and earn 10% of any classmate and his future career, who would you choose? Is it the smartest person or most talented person that ultimately succeeds the best? Maybe, but not all the time. There are always talented people out in the world and they come dime a dozen. Think of it this way, ask this question: “Out of your High School class, who would you bet money on in having the greatest success?” I bet you’re not going to pick the kid with a perfect 4.0 or most talented person. You should bet on the kid with a set of intangible traits like energy, focus, determination, passion, drive, wisdom. On paper he might not look the best, but by looking at him, you know that kid is going somewhere. Now, take these qualities and find ways to implement them in your own life. Go ahead and flip the question on it’s head and ask “What student/ classmate would you bet against?”. You’ll probably find their characteristics to be, Lazy, disrespectful, undisciplined, non communicative, no drive, no integrity. Do you have any of these qualities? If yes, then focus on changing them. Maybe you’re shy, then you need to force yourself into more social situations. Would you be the person that people would bet on? Learn and train yourself to become better and improve your intangible qualities. Learned Optimism – Dr Martin Seligmen’s book which says that “we can train the brain” to do extraordinary things. This also plays into NLP – Neural Linguistic Programming which is a set of tools in psychology that allows people to change their behavorial patterns, develop better skills, communication, etc. Poor Charlie’s Almanac – This book is for additional wit and wisdom by none other Charles T. Munger, the individual who came up with the 25 cognitive biases. As one of my friend’s said, “think of it as a gift to humanity from a higher more intelligent species”. A bit expensive, I’d look for an online version somewhere for cheaper. So I need to ask myself if I am really spending each day getting wiser? Am I improving everyday a little bit? Use your overall happiness as a gauge. If you’re not happy, then that’s just a feedback system telling you that you need to change something. Tai Lopez quotes LSU Business professor, Leon C. Megginson. It’s not strongest and smartest species that survives, but the species that is the best able to adapt. You can take this simple statement and apply it to virtually every thing in your life. YOU MUST BE ABLE TO ADAPT. If you don’t, you die in business, marriage, investments, your life etc. It doesn’t matter how strong you are or how smart you are. Everything is NOT Black and White… but rather shades of grey. Even common thoughts we think today, we think in black and white, good and bad, but they really aren’t. Try to look at Failure Differently. I personally try to look at Failure as my friend. I’ve collected a whole bunch of fear of failure quotes that will show you that you’re in good company. Tai talks about truth seeking but doesn’t tie this in right here into failure (at least that I remember when I was taking notes). I’ve noticed that in order to look at failure differently, you must be a truth seeker. If you are, then why should you be afraid of being rejected by that girl or boy that you’re so afraid of talking to, or the dream job that you’ve always wanted? Whatever outcome it is, that’s what it is. A lot of us, including me, have a trouble with accepting truth. If we learn to embrace it, we’ll allow ourselves to get more repetitions in and we’ll be a lot better off. Now don’t get me wrong, fear serves a purpose, and so does fear of failing. Fear motivates us to prepare for important things. What I’m trying to say is that don’t let fear immobilize you. Here are some famous people that learned to adapt and not be afraid of fear. Think of your life and goals as experiments. You can’t really fail at an experiment. Think about it, you usually think of goals as a pass or fail based on what you want, HOWEVER, in an EXPERIMENT it isn’t a pass or fail. It is a reiterative process that refines in closer and closer to a desired outcome. Science doesn’t look at pass/fail, it observes OBJECTIVELY and concludes its findings. The experiment was either close to your hypothesis or it wasn’t, you observe the results and you compare it with your hypothesis, tweak the experiment and variables, and run the experiment again. When you think of goals and trying new things this way just like how Thomas Edison did then YOU CANNOT FAIL. Try, observe, tweak. Did you get your desired result? If no, go to step 2. Try, observe, tweak. Did you get your desired result? If no, go to step 3. On a side note: Some people change too often and it seems like they are changing just to change which is what I call “hyper adapt”. So yes, you can adapt too much sometimes. Evolution Stable Strategy – (ESS) – This is a difficult concept but in a nut shell it means that you have two or more groups in an ecosystem and their choices and interaction becomes stable at some point. When cows eat grass, their saliva helps the grass grow back healthier … the cows “make a deal” with the grass and the situation becomes stable. You’re probably thinking to yourself, “Sure, sure, sure, I am humble”. Tai challenges you in this section by saying that most everyone says that they’re humble, but very few actually are humble. Let me explain. There are different types of humility, inward humility and outward humility. Most everyone has outward humility which outwardly shows others that they are humble – For Example: “I’m ok, but I’m not that great”. Now inward humility is what you really want to strive for. People who have inward humility admit that they don’t know everything and that there are lessons to be learned from almost everyone AND most importantly, they take action and strive to improve. If you’re really humble, you will go out of your way to seek the right information to help you in your situation. Most of us get the “I don’t know” part right, BUT very few of us get the “I’m going to do something about it” – the action part. This is usually because our egos don’t want to be hurt. “I’m not a very good public speaker”… I have not chosen to improve as I need to in this area because subconsiously I’m trying to protect my ego and in a way, I’m not very humble in that area. Michael Jordan – Michael Jordan’s best asset was his listening and being coach-able. The best basketball player in the world was still looking for ways to get better from all sorts of different people, mentors and coaches. Yes, don’t get me wrong, outwardly, he is extremely cocky. But his actions show that he is humble and that he doesn’t know everything. Sam Walton – Embarrassing to some people, Sam would go to competitors stores all across the globe trying to find out new ways to run his store. He was found measuring distances of aisle ways and was arrested. Imagine billionaire Sam Walton, on his hands and knees measuring the floow and then getting arrested.- Sam Walton didn’t let his ego get in the way of searching for the truth. If you do these things on a regular basis, being mentored, reading books, etc then the more humble you are because these our ACTIONS that show that you don’t know everything and are willing and hungry to learn. In other words, don’t tell me that you’re humble, show that you’re humble. This is a strange way of looking at being humble, but it makes sense to me. How humble have you been in action? Not lip service saying that you’re humble. How much money have you been spending on info/seminars etc? What are your distractions from doing this? 4You need a Mentor. Law of 33 Percent. When Pablo Picasso said this, he wasn’t promoting copying or stealing, but rather making a point that anything great that has happened in the world – inventions, ideas, movements, etc is because they’ve been built on the past ideas of other people. For example, computers today, are a summation of all the different developments and innovation. Without the past building blocks of computer, such as the microchip and processor, are technology wouldn’t be what it is today. In a way, anything we create is because we are “standing on the shoulders of giants” as Sir Issac Newton quoted. Looking at this again at a philosophical level, there really is no “original idea” out there because all ideas are comprised of older thoughts and ideas. Also, we need to stop trying to reinvent the wheel, and copy/ imitate other people more and “stand on their shoulders” and wisdom. This nicely leads into the next point – the law of 33%. The law dictates how and who you should spend your time in order to grow and improve best as a person. You can’t just spend all your time with mentors, it’s unrealistic. You’ll become really strong in certain points however other areas in your life will be lacking. Much like exercising, you need to work out all areas of yourself. You don’t just exercise one muscle and expect great physical results – you have to exercise all muscles. The Law of 33% is broken down the following. People below your level (Apprentices): You need to spend 33% of your waking hours with people that are “below” or “behind” you. These friends will be the ones that you’re mentoring, it will provide you a way to boost your confidence and hone your teaching skills while helping your friends out. People on your level (Partners): You need to spend 33% of your time with people on the same level as you. These will be your closest friends. People above your level (Mentors): You need to spend 33% of your time with people above your level that will help you with your goals, aspirations, etc. These people are your MENTORS. This spectrum of different people will provide you a spectrum of people that are necessary to grow in all areas. So here’s the fifth step of this Tai Lopez review of The 67 Steps summary. This step, is all about using your judgment and observation skills on people. You need to tune in and be aware of who you talk to and what information you pick up from people. You’d be surprised how many crappy thoughts you are exposed to. Some people are rich in certain different areas of their lives and others are poor in those areas. If you can decipher what areas are good and bad with certain people, you can hone in to the good elements of that person – dissect them, reverse engineer it, and imitate their behavior. So how can you tell if someone is good or bad in a certain area in his/her life? The question is easily answered with a verse from the bible (not meaning to get churchy with people, as I’ll also pull quotes from other religious books that have good wisdom). One example of a pattern that Tai’s observed was that his rich friend Joel Salatin said a lot of quotes. When you say quotes, you’re not just saying, “listen to me” you’re also referring that someone else said it to. This plays into using the Authority bias to your favor. His rich friends are good at Math. You must BUILD a habit of observing people. Get a level of awareness. “Mirror cat” and “parrot” the people you want to be like. What I typically do when asking for wisdom is tell the person your observations you’ve had about them and deliver it in a complimentary form (avoid excessive smoke), comment with a brief sentence about your goals and then ask them their input and how you can achieve the same. You’d be surprised by how many people open up. If you want to get more detailed. What are the patterns in your friends? The media sells you this grand picture of becoming rich, getting fit, without giving you the full story of the actual process and they do this by design to usual sell you something. They also always make it sound easier than what it is. If you don’t understand all the details and implications of a well rounded, happy life then you’re setting yourself up for failure. There is no such thing as instant success (the type that lasts at least). Success is a slow process that takes persistent work. Think of life as a stone sculpture chiseled by hand. A stone sculpture isn’t made overnight. You have to chisel away at that stone day by day. You know the saying “Rome wasn’t built in a day” – don’t expect yourself to have success right away. This mentality makes you compare yourself with others when you don’t know the exact details they’ve had to go through. Be patient with yourself. Start today and slowly chip away at the sculpture you envision. Maybe it’s something small like starting a speed reading program or getting a gym membership and working out. You’ve gotta learn to love the grind. Because life IS the grind. A tree that grows slow, bares the best fruit. Rule of 72 – A shortcut that people use when figuring out a rough estimate to interest rates. To explain this topic further, experiments were performed on two dogs ( And no, I do not condone violence to dogs). The first dog was placed in a box small enough where it could escape when it was shocked. The second dog was placed in a much larger box where it could not escape when it was shocked repeatedly. Later, the took the second dog and placed it in the same box as the first dog so it could escape when it was shocked. What they found was that the dog’s mind can be rewired to learn helplessness. This awesome YouTube video explains the book pretty well – Learned Optimism. Most of us have heard the story of the elehpant tied to a stake with rope. An elephant was tied to a rope for a long time. When the elephant was untied from the stake, the elephant did not move from its radius. A common example that you might not have identified as learned helplessness is someone who works as a salaried employee. Since they are conditioned to wait for their paycheck, they don’t take any action to obtain more money, they become dependent on waiting for the paycheck. This is known as a Salary Slave. People are looking for a quick fix or an instant pill and they aren’t looking for a life style because they want to escape the pain of changing their habits. Some people get stuck in this habit of waiting for the newest diet to try or the newest self help book to read and they don’t apply any action to what they have learned. They have become spectators, they read the books out of enjoyment. They have the mentality of a dog in the box who can’t escape. The United States is a truly unique place to live. The beauty of it is that we have support systems in place so we can take risks and fail. You’re never going to get anywhere in your life unless you take some sort of risk. Laziness will kill you out in the jungle. The habits that you have will determine whether or not you die or survive in the jungle. Just get out there and start doing things, take risks. If you stay the same, you’re going to keep on getting the same things so don’t expect different results. What’s the worse that can happen? Be quick, but never hurry. – John wooden UCLA Basketball coach. A book about Amazon – The Everything Store – Talks about an employee who said something couldn’t be solved and Jeff Bezos said that they will innovate out of their problems. So, the antithesis of helplessness is creativity. This reminds me of a great quote by Albert Einstein. What’s an area that you’ve been helpless in your past? It could be health, relationships, wealth, career. And, what can you do now to fix it? This is step 8 of the Tai Lopez Review of the 67 steps, titled “The Integrated Good Life & The Four Pillars Of Eudaimonia”. This lesson is about integrating your life together. A lot of us have been sold a habit of breaking things down and compartmentalizing items in our lives when we shouldn’t break them down. Now don’t get me wrong, I break complicated things down most times and I believe it’s a good habit to have because it usually makes things easier. However, some items aren’t meant to be broken down and segregated. Sometimes, there are certain things that work much better when they are integrated and not segregated. Friends: I have a lot of friends and I tend to spend a lot of time with individual friends. One on one time is important, however, I need to include inviting more friends together so I don’t feel like I’m spreading myself too thin among friends. Work– If you have an extremely long commute, try to move closer to decrease your time. Instead of finding a gym, invest on your own gym equipment, save money, and save time from commuting and worrying about if you look cool enough to enter the gym. The idea here is to make it easy on yourself in the things you do ever day. Sometimes it’s a struggle when you have to commute 2 hours to work everyday. Integrating saves you time while increasing your productivity flow. There is something called Edge Biological Theory which supports this idea of integrating your life. The principle behind the theory is that in nature and ecosystems you will find the most life on the fringes where multiple ecosystems merge. For example, there is a forest and lake and on the edge where they connect, you will find the most animals living around that area. We as species on this Earth are wired the same way where we want to be on the edge where resources merge. Reshape your external surroundings to tailor your lifestyle. Tai Lopez had an idea of integrating his office with his home gym and creating an office gym. Did you know that 8 hours of sitting down at your office job is extremely unhealthy for you? Studies have shown that prolonged sitting is dangerous to your health and decreases your life by many years. On lunch, use Task Rabbit to hire other people to do whatever tasks you need. It’s not a crime to socialize during work, it’s usually encouraged as long as you don’t abuse the privilege. Socializing increases team unity. Find and make friends at work and don’t feel guilty about it. While commuting to work, don’t waste that time doing nothing. Put on an audio book and learn something. Participate in a charity event in your town and invite your friends. We are after the goal of Eudaimonia which is this concept from the classic philosophers of a fulfilled life. Health, Wealth, Love (friends, family, romance), fulfillment or a bigger purpose. Martin Seligman says that the more you integrate your life, the happier you’ll be. Tai Lopez reads a book a day – (skims a book a day) this is how he does it. Step 9 – Warren Buffett’s Book-A-Day Diet & Making War With A Multitude Of Counselors – Book a Day Diet. Buffet and Gates were asked what superpower…. they both said that they would have the ability to read super fast. In the book Screw it, lets do it by Richard Branson – he explains how important books are and how he came over his dyslexia. Alexander the Great had books sent to him thousands of miles away to him while traveling or in battle. When most people hit road blocks, they create reasons why they can’t do it. “They got lucky” “People stole all my money from me – I got ripped off”. The book – The Selfish Gene by Richard Dawkins is a great book that Tai also recommends and it explains why the human mind is wired the way it is. Overt trail and Overt error it takes time and energy and fatal. Simulation is both safer and faster. It’s a heck of a lot easier to learn from other peoples mistakes. We all make mistakes, but it’s easier to learn from other people’s mistakes. Books are the easiest way to simulate the outcomes and gain the hard experience from others. The better that you can accurately simulate outcomes, the faster and better you are. Simulate successes, mistakes, and the future by reading books. It could be anything from Michael Jordan to Warren Buffet or Elon Musk. You will cut the learning curve exponentially. “Make War with a multitude of counselors” – means that you choose your battles in your life with the smartest people on your side. With their wisdom, you will be in good company. Over 100 million books exist… Read the tried and true classics, and authors who have credibility. NOTE: Now I don’t really disagree with this approach but I disagree in calling it reading a book, it really is skimming instead of reading. To call it reading a book a day is a bit deceptive and intimidating for most people. 1st Pass – Previewing the book (5 min) – He reads the Front, Back, the inside jacket, about the author, table of contents – This allows him to anticipate what the main point is. 2nd Pass – Browse through the chapters (30 min) – Try to find one chapter that looks interesting to read. 3rd Pass – Read One or Two Chapters ( 1 hour) – Read the entire chapter. Don’t focus on reading fast but focus on mining for gold nuggets of knowledge. Come over your fear of reading every word. What’s your excuse for not reading and what’s your plan to start reading? Stoics believe in toughening and sweating it out and sacrificing to get what they want, sucking it up and just doing it. They believe in preparing and sacrificing early to later reap the rewards later. Epicureans believe in the YOLO mindset of “you only live once” and live for instant gratifications. They live for convenience which creates a soft person. Why become Tough? When hard times come through your life and if you’re not tough enough or prepared, then you’re not going to survive. Money comes to people who don’t need money, and the stronger the person is, the more attractive that person is. If you’re only stoic, then you would be like a robot and would be unbalanced. So you need to have a balance of the two. However, I believe our generation of people tend to be more lazy and pleasure seeking, so I would error on the side of being more stoic, because it’s easier to change from being more stoic to being epicurean. It’s the wealthy capital that preys on our basic instincts to find the easy way out. Spartans would start extensive training when they were young boys. Tony Robbins teaches you to get excited when you fail! When you succeed, you celebrate, and when you fail you begin to ponder. When you ponder, you’re one step closer to finding the solution. IN what area have you become the weakest in health, wealth, love, and happiness? 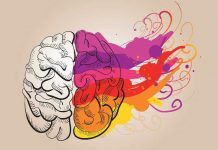 What can you do to rewire the brain to strengthen yourself? When can we trust our instincts and when can we not? 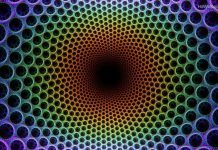 The Whispers of 10,000 generations is a term that describes the impulses we have everyday due to our genetics, human hard-wiring, and learned habits from ancestors and how they influence our life. For example, 10,000 years ago, food was scarce back then and they ate as much as they could. Nowadays, the survival mindset is still built in us. Food companies design our food to prey upon us. They know that our genetics desire the fat, sugar, and salt. We now have artificial Light – Artificial Light keeps us up during hours when we are designed to sleep. We need to fight our DNA impulses (whispers of 10,000 years) and develop a investors mindset. Don’t place yourself in to situations where you know your DNA impulses will overpower your decision making. What area is the worst area where your DNA impulses are strongest? This step is all about matching up your unique signature strength with what you should really be doing. To do this, you need to find out your strengths and a One Sentence Destiny Plan, like a mission statement. If you can’t crystalise what you want to do in one sentence then you don’t know what you want to do. Peter Drucker has a fantastic book, Managing Oneself, that I recommend and that Tai also recommends. This book is really short, easy to read, cheap, and has invaluable information in there – i absolutely love it because it’s straight to the point how most books should be. How do I know what I should be doing with my life? In the past you didn’t need to know what you wanted to be because you were born into your family’s occupation. What’s your mission statement or plan in life? Crystallize what you want to do in one sentence and make sure everyone can understand it – including your grandma. What makes you think that you have a lot of options? Most people are delusional in thinking that they can do whatever they want. What are your real skills? Do You have American Idol syndrome? This law states that in order to really excel at what you want to do, you have to be within the top 5% of your niche. When this law is put into the context of your life, it makes you think twice about what you spend your time on and makes you focus on what you’re good at and where you can grow too. Kill the myth that you can be good at so many things. Do not have American Idol Syndrome where you think that you’re good but you’re not that good. You might be the best singer in your town, but on the global stage, there is so much competition. Don’t get me wrong, you want to have big goals but you need to BUILD them around your real skills or your “signature strengths”. General Electric – This company focused on making everything. Later it slowly phased out some of it’s markets to focus on their “signature strengths” – GE’s plan was a huge success. We can apply this mentality to our own lives – focus on the things you’re good at and double down. Draw a ven diagram with 4 circles. Think about the 4 pillars of life when answering the questions below(health, wealth, love, and fulfillment). 1. What did you grow up around? What you grow up around deeply influences you and imprints upon your mind of who you’ll become. 2. Get feedback from strangers. What have strangers said that you’re good at? 3. What have you been doing for the last 10 years? 4. What do you love talking about? On your ven Diagram, where do they all meet in the middle? Where they meet, that is what you should be doing. What’s your one sentence destiny plan? This lesson is about wisely picking a career path based on what you like and not what you “love” or are lustful after. How to set up your life, so your work is your vacation. Don’t get stuck in a dichotomy of hating your job and escaping. Don’t base you’re life around vacation. Living in a state of dreading day to day and looking forward to your escape / vacation is not a quality way to live. Don’t do what you love, Do what you like. A lot of people now a day say they love something, but people get really confused between love and lust. Most of the time it’s really lust. Lust eventually burns out. Work at something that continually excites you. Don’t worry about missed opportunities that are not right for you. A lot of people have general fear of missing out (FOMO). FOMO is a dangerous time waster that will take you down rabbit holes you don’t want to go! This is an quality that I have and I’m working on it. Always think if the opportunity makes sense to you and your direction. Amish – The Amish have life not built around anticipation but built around rituals, hard work, no anticipation and they are statistically happier than most people. Don’t follow your lust, follow your like. This is something that Tai doesn’t talk about, but I believe you could have a miserable job and still be happy at that job. It’s all based on your mindset and making it enjoyable – In other words, your attitude. Do you have your mindset based around vacation? When you woke up early, were you excited to start it? Are you going after something that you’re lusting after? Everything is your fault is a mindset that puts you in control to prepare. Growing up as a kid, I was heavily involved in the Boyscouts and all you fellow scouts out there, you know that the Scout motto is, “Be Prepared”. Could you anticipate this happening? Could you have prepared for it? “How full is your tool belt”? Removal of procrastination and laziness, winning friends, charisma, influencing people, determination, perseverance, hard work. Usually poor friends are good at one thing, and they don’t have enough tools in their toolbelt. A lot of people spew out “think positive and that’s all you need” – I agree with thinking positive, however, I believe that people get stuck in the illusion of avoiding anything negative with that sort of thinking. You need to be optimistic, however, realistic with your head grounded. You need to find the balance of KNOWING the right time to be optimistic and to be pessimistic. You can’t be 100% positive all the time. Who else are you going to blame? How can I better prepare myself for the next day? I don’t look at it as preparing because a lot of people think “I don’t want to be preparing for my whole life”, I look at it as improving. When you look at it this way, it’s not as difficult. Hey guess what? Reading is learning, and is also preparation. What can you do this week to prepare yourself financially, relationship wise, and health wise? If you have health issues, start addressing those now. If you have relationship issues, start addressing those now and stop procrastinating. Claim Responsibility HOWEVER Don’t Fixate or beat yourself or freak out. Claim that it was your fault for not preparing, make a mental note that you will prepare next time, and then forget about messing up – give yourself a break because no one is perfect. In your 4 areas, where have you been lacking in preparation? What’s a specific time where you should have been prepared but weren’t? Removing beliefs about things that aren’t 100% true. You’ll have to make complicated decisions in life. Most of the Billionaire’s are investors (not surprising) and they have to make big decisions all the time. They just don’t decide with their gut, but they take very calculated risks and look at all aspects in their mind. Switching a job for a higher paying salary might not be as easy as you think. Sure you’ll get more money, however, there are a lot of other factors that play into whether or not if it’s a good move. In order to make good decisions, it is a good idea to break down the decision and quantify it while taking account the risks. For my important decisions, I make a pros and cons list in excel (This is my own system for making choices), I think of every possible pro and con, then I weight it by assigning it a number (1-10). Then tally up the points. Let’s take our job example above. This was a recent job switch that I had, and it was obvious that I was going to take the job. If it was more difficult, I would weight each point as I described above and total them. Touching on this topic again of learning and reading. Learning History (just like other books) is extremely important because we can learn from it. It’s also important because history always repeats itself and it allows us to prepare for it. Don’t get this confused with being a jack of all trades (trying to be everything). Here, you’re just learning about background information so you’ll want to read a wide range of books even outside your niche. Why should you read broadly? Reading broadly will give you a wider view of how things work in general. This is absolutely key when managing people or systems. You might be able to apply principles you’ve learned in one area to your work related area. You’ll become a more interesting, well rounded person. 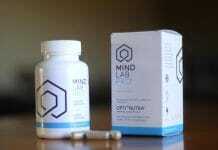 Increases your ability to communicate to other people. Be able to understand both sides of an argument. Iron sharpens iron, as a friend sharpens a friend. What area are you weakest in? Art? Geography? Politics? Religion? Today on the internet there’s a big illusion that you can get rich quick and you can work 4 hours a week. It takes a lot of work to become wealthy. There is no end. It is the grind. That is where you’re motivation and excitement is. Now the popular 4 Hour Work Week is a good book. However, a lot of people get caught up on the title and think that they can only work 4 hours a week. It’s bologna. Do you think that the author, Tim Ferris works 4 hours a week? Now I understand that the title was chosen because it converts better. The book isn’t about trying to work as minimal as possible. It’s about trying to work as efficiently as possible. If you don’t like going through the steps to take to success, then maybe you’re doing the wrong thing? Name important people that only work 4 hours a day. You won’t find any. And if you do, it won’t last long term. If you want to have an impact on the world, then you have to put in your hours. You can’t just chuck up 4 hours and expect to be a millionaire. In what part have you sabotaged yourself with incorrect efficiency? This step is all about using a mental framework to simplify anything so it doesn’t seem as daunting. To do this we will use contrast bias. Contrast bias is comparing your task / situation to a much more difficult task. This is a useful mind hack because it puts things into perspective. Play a mind game with yourself by using contrast bias. Contrast your problems with REAL, larger problems. For example: The feat of getting a man to the moon took NASA 10 years, trillions of dollars, and an exponential amount of hours and engineering effort. It was an ENORMOUS effort. Watch a documentary on going to the moon. There were so many different issues and problems that they had to solve. After I think about the difficulty of getting a man on the moon, I ask myself, “Is what I am doing now really that difficult?” and it really helps me put things into perspective and motivates me. The key here is to take your problem and mix it with a larger problem. The bigger the problem the better. 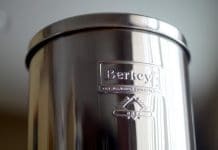 In engineering terms, I think of spring back which is a term used in metal forming – to shape the metal correctly you must force the metal beyond where you want it to be formed because the metal springs back a little bit to it’s original position. Keep simple things simple. There are a ton of things that I overthink when I don’t need to. It’s a horrible habit. People spend their time on useless things – like spending so much time getting dressed, traveling to work, researching the best TV to buy, deciding on what color or car you want to buy, writing long emails instead of just calling the person. These might be important in their own aspect, but in comparison to the MAJOR things in life – they simply are not. I spend a ridiculous amount of time researching the best products. Sometimes it’s as simple as toothpaste. Maybe it’s a little OCD, but you have to force yourself to think, is it really worth it to spend two hours researching toothpaste or should you just go out and buy some toothpaste? If you have this same problem, to solve this type of thinking, I give myself 5 minutes max to make a decision. For example, some people spend an hour or two commuting to work. That’s 1/12 of your day. Why don’t you keep it simple and move closer to work? Reduce your research time on trivial things and the time you write pointless emails. Get out of that habit, stop making things harder than what they are. What is something that you have fear of? Now contrast it with something similar. What is super simple, that you should spend less time on? What’s something that you’ve over simplified? Reinvest in your learning and in yourself. In order to do this, you must get control over your finances. Know what you’re making and what you’re spending on. I use – www.mint.com: it links all your accounts, credit cards, loans, into one and provides a nice overview of everything. Love this thing. Spend 33% on Education and investing in yourself. Spend 33% on Entertainment and however you want. Instead of buying new books, buy used books, or go to the library. Don’t get caught up in having the newest things. Billionaire Warren Buffet drives an old minivan. He’s realized that cars are a waste of time and money that only serve the ego. Use Torrents to download free information. Go to Ross or TJ Max for discounted clothes that still look great. What’s the discretionary income you have? How are you currently spending it? What are you going to reinvest in? This lesson is about making the world in your own image. Alan Nation once said that entrepreneurs remakes the world in their own image. They imagine a world and make it like that. If you had enough money, how would you change your life? In your imaginary world, what would you want to be doing? Realistically. Maybe you love singing and playing the guitar – Realistically, you wouldn’t be a superstar but maybe you would be an agent or start up your own record label. What I am saying is, don’t be so rigid in what you want to do. There are so many ways to live out what you like. What’s all the stuff you don’t want to do and find a way how you can get rid of it by outsourcing it to someone else. What’s your social life like? Are you building a life around what you want? What do you want in life, financially, socially, and health wise? and what do you have to do to tweak it? Tai recommends the book again: Screw It, Let’s Do it. How would you stay healthy in an ideal world? What Job would you have in an ideal world? How would you be social in an ideal world? What cause / charity would you be involved in? How to interact with people will probably be the most important skill you will ever have in life. Networking and creating allies is essential. It’s important to read people correctly and anticipate what they are all about. Tai Lopez has developed the P.A.S.E. system that allows you to stereotype people to try to understand them. What are your core energies? Practical – Aren’t very flexible. They are very planned. They like numbers, money, things on schedule. A little more slower to act. Action – Spontaneous, Enlightened, high energy, self-starters, hardly ever finishers. Not very patient. Aggressive. Social – Go with the flow with things, relaxed, hippie like, they like being around people, a little flaky, Spontaneous, don’t stand up for themselves often. Emotional – Decipher people, intuitive, analyze people, driven by fear and are often offended by others easily. Afraid to change. Be more sensitive, open yourself up. If you can understand what type a person is, you can play to that person’s type to influence them better. For Example: If you identify someone as being emotional as their primary letter, then you might want to start by opening yourself up to them on a personal level and be more sensitive. Remember that when you’re trying to influence people, the old saying “like attracts like” holds very true. Think of yourself. Don’t you hang around people who share your similar interests? Tai’s system is a bit like the Brigg Meyer’s Personality Typing Test. Believe it or not, surprisingly it is very similar to the 4 areas of astrology however he has put it into modern langauge. Instead of Practical, Action, Social, Emotional you have Earth (Taurus, Capricorn, Virgo) , Fire (Leo, Sagitarius, Aries, Air (Libra, Aquarius, Gemini), Water Signs (Pisces, Scorpio, Cancer). Casanova was great at meshing with all people. He was an expert at changing how he interacted with people. Just like Casanova, we need to learn how to play the part of the chameleon. Casanova knew that he needed to bring out different parts of his personality to convince different people. What are the PASE energies of your family and friends? Focus on working each side of the P.A.S.E. to help you relate better to these types of people. Do something that makes you more practical. Do something that makes you more emotional. Do something that makes your more Action based. Do something that makes you more social. This lesson is about assessing yourself. Because in order to change something you need to identify the problem correctly and understand the cause of it. Read the obvious signs of yourself. Is your body the way you want it to be? Yes or no? Is your bank account the way you want it to be? Yes or no? If the answer is no, then what do you want it to look like, and decide on the best plan to get you to that goal. People want to make changes out of emotions or anger. This is the WRONG way to do things. Anger and emotions always subside. You want to base your changes on something more foundational that won’t waver or change from time to time. You want to build your decisions on beliefs by the truth. Become a truth seeker. A truth seeker will not be afraid of assessing himself and they will sacrifice everything for the truth. Ask yourself a questions to kick start your thinking. A lot of people embrace the truth but don’t make their decisions based around the truth. 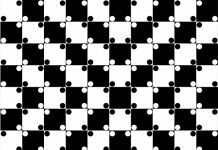 BEWARE the black and white mind. Avoid extreme ideologies. The black and white mind is biased and very stubborn in keeping it’s ways. This type of mind doesn’t try to look for truth because it can’t change even if the truth appeared in front of it. Read the obvious signs of your health, wealth, and happiness. For Example: You’re on a new diet, you try it out for 60 days, however, whenever you eat a certain food, you get diarrhea. The overall diet doesn’t make you feel any better either and you haven’t achieved any results. You would observe these, make a conclusion to stop eating the food that gave you diarrhea and change the diet. It’s hard to know when to change, what to change, and the difference between the two. Here is a FANTASTIC quote that i love. Set a goal, decide which system moves you towards that goal, monitor it, adjust accordingly, and then continue on with the system. REMEMBER: A mistake is an experiment that was ran too long. Don’t run your experiments too long or too short. Your goal is to get past 3 failures. Don’t look at it as failing, just look at it as experimenting and finding ways that don’t work for you. The more you can fail and be accepting of it, the better off you’ll be. Thomas Edison made tons of mistakes from his experiments. There are plenty of self made millionaires who have failed or went bankrupt. Just remember when you fail, you are in the same process that all these geniuses have utilized. Visit my article on how to fail your way to success for some more insights. What are the things you’ve been stuck in black and white mode and what experiments are you going to run to change it? How to bypass the obstacles and storms in your life. Plan to generate faith: Envision but also FEEL yourself making it THROUGH the obstacle. You have to believe that you’ll make it through and survive. Face it, eventually you’re going to have a life altering obstacle come into your life. Anticipate things to happen. Expect to get problems. Put things in perspective. What I like to do is imagine certain things happening in my life and placing myself in hypothetical situations. This gears your mind into preparing for the worst. When you hit an obstacle in life, you’ll have to innovate a solution to make it around the obstacle. Learn to love to figure out how to get around the obstacles. To be able to innovate you’ll have to read a lot and experience different things. Start embracing the obstacles, make it yours, and make it beautiful. Do you have a plan that can support and generate faith? Scale from 1-10, what’s your ability to generate faith? What have you lost perspective on? What books are you going to be reading today to give you better perspective. This step is about putting your life in perspective to know whether or not you’re on the right path. This is a reverse engineering exercise. Imagine your own funeral, how many people are there? How many lives have you affected for good? What do you want these people to say at your funeral? What type of person were you? What did you accomplish? Were you a good friend or good business partner? Do you want you’re funeral to look like someone’s like Gandhi? What’s the end goal in mind – Steven Covey. You need to think of your main purpose, your war, not the tiny battles in between. If you forget the reason why you’re fighting and can’t see you’re end goal in mind then you will lose your drive and motivation. Stick with things that win wars. Most times we get lost in the details and minutia in life, forgetting the overall end goal. Society has taught us to perform busy work – a flurry of activities. Don’t perform pointless forms of activities. These are the people who say they are too busy, give excuses that they are so busy, and are always running around with their heads cut off. There’s a cool song by Jason Mraz called “Details in the Fabric” that talks about people who get lost and overwhelmed in life with all these details that we really should be paying attention to. Run everything through this mindset. There are four wars in your life. Health, Wealth, Love, and Fulfillment (happiness). It’s ok to not be happy all the time, but you can be fulfilled. It’s normal to be depressed. It serves a purpose. Depression is a feedback loop that is telling you need to change something (not talking about people who’s brain’s are wired to be depressed). You have to step back and see the bigger picture of your life and how you fit in to things and how you want to fit into things. Do you have a clear end game? What does your war look like? What area have you been just creating excuses and busy work or what tai says “flurry of activities”? This step/ lesson is all about realizing that there is something way bigger outside of you. There will always be outside forces and not everything is about you. However, a lot of people are stuck inside an egocentric mindset where they forget about outside forces much larger than themselves like nature. Snap yourself out of the ego centric mindset. Progress is the ability to increase our control of our environment. Be Patient, things take time. Allow yourself to have time. You can’t rush nature or physics. A lot of people become frustrated because their business isn’t performing as well, or they aren’t seeing results right away from a new diet they are trying out. We need to lower our expectations in understanding that some things take more time than others. We always think the grass is greener on the other side or that the other guy has it so figured out. Be aware of the forces of nature and that there are different seasons of your life. There are dark times, happy times, challenging times. Sometimes you have to let the season run its course. What have been some of the seasons of your life? Spring, summer, fall, winter? What did you do wrong and right in those seasons? This is one of my favorite sections because I’m an engineer ( yes I’m a nerd) and we have to think of all the things that can go wrong when designing anything. Our design has to prepare for those moments if the system fails. This planning can be applied to all aspects of our lives. There is an EXCELLENT quote. Tai’s mentor, Joel Salatin, used a belt AND suspenders to keep his pants on while working on the farm and Tai uses this belt and suspenders analogy to advocate the importance of backup systems in our lives and that they are there so we don’t have to spend twice the amount of time fixing things and being “retroactive”. I get the analogy, but it doesn’t make much sense to me because I’ve never seen a belt break before. I could see how suspenders could break, but there’s no need to wear both. I’m not from a farm, so maybe they’re extra rough on their belts. I don’t know. So you can see from the above list that usually anything important has a secondary backup system. This makes complete sense. Now, most of us don’t integrate backup systems in our own lives. Why aren’t we doing this? We either say that we’re too busy or don’t have enough money. Well, sorry to say it’s more expensive in time and money to be retroactive than proactive in building backup systems. Now FYI, a backup system in your life could be anything, a plan, a person, money, that extra tampon that you put in your purse (if you’re a woman). What is the point of a backup system? Think of it as an insurance policy, the system is there to catch you when you fall. It saves time and money. Not only does it save you time and money, but most important of all it also adds a confidence to your life & lowers stress. You really don’t need to worry about things failing and you can focus on the more important things in life like your family and friends and personal endeavors. For example, I have a lot of websites and they weren’t being backed up regularly. This was a huge stress for me, because in the back of my head I always asked, “What if my websites get hacked, or is somehow fails due to automatic updates?”. This happens to a lot to most websites. I decided to get automatic backups on all my sites and once I did, I felt a HUGE weight lifted off of my shoulders. Now IMAGINE all those other worries and stresses in your life that you have that can be taken care of with a backup system or a backup plan? Now of course, there’s a balance to building backup systems in your life. The art of it, is knowing what’s important to safe guard. You don’t want to waste time building extensive backup plans in case your toothbrush goes missing. 1. Build Redundancy in everything. Expect things to go wrong. Anticipate what could happen. You can anticipate about anything for example a road trip. You could get a flat, do you have a spare and jack? Is a quality control to eliminate defects that drives towards “six standard deviations between the average and neatest spec limit. What level of sigma are you? I feel like don’t make many mistakes, because I’m very cautious about everything that I do. In turn I feel like there is a price for this I pay because I’m always thinking twice before I do something. I feel like this wastes time, however, when I think about it, I’ve done pretty well and the times when I rush something or don’t think about it, I make more mistakes and work for myself. So I feel like this has paid off. What’s the reason why you’re at this level? Which of the Tools do you need to work on? I need to work on the execution of the planning stage. 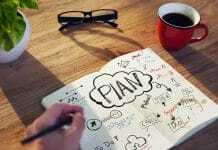 I think too much about things sometimes where I don’t finish executing the plan. I feel that I’m afraid that I’m going to miss something if I don’t research it to death. Where do you want to be? and what’s the most likely? Well, I want to be married, a couple of kids, a successful business online that brings in close to $100k while still working as a mechanical engineer. I’d focus on whatever is most scalable. 5. What’s a practical thing you can do? Well, I just installed an automatic backup system for my websites, so now I don’t have to worry about websites failing and work being lost. You are personally and professionally going to go through a lot of battles in life. To make it through these battles, you need to surround yourself with allies. You can’t do it by yourself. You can’t run a business by yourself, you can’t go through life by yourself. Anything great that was ever built, took a team. Integrity: It’s important to have people who are honest and will do the right things. You want good people along your side. Loyalty: You want people who are loyal, who will fight for you and help you out when you need it. Complimentary: Look for people who compliment you because no one is well rounded, but there are well rounded teams. If you’re an introvert, then look for friends who are extroverts that will draw you out of your shell. References: This is an indirect approach – Testimonials and References – Charles Munger – Forget the job interview. because you might just be hiring people who are good at interviews. Where have you failed in choosing your allies? Don’t let things build up in your mind. Do things before the become urgent. Learn to jump into things. People procrastinate because they are avoiding the pain of doing the activity. There is usually a false understanding of how much pain it the activity actually is. You need to build a habit of just jumping into things. Not everything needs to be thought out and double checked. The Amish have a saying – When you don’t know what to do, and you have something hard to do, just jump in to take action and you’re half way there. I think that this quote is a good one however, you’ll need to use you’re judgement. You’re not going to just jump into something dangerous that you don’t know about. What’s something that you’ve procrastinated on? What’s a bad habit you have with procrastination? What can you do today to help your procrastination? This lesson is about fighting against entropy and learning not to waste your time. Heed the words of Seneca! On the Shortness of Life by the Philosopher Seneca- Life is long if you know how to use it. We are wasteful of time by using it on luxury things like playing too many video games, watching too many movies, or being busy just for the sake of being too busy. The most important thing is not money, it’s time. Entropy is a state of disorder or degradation. In a simple metaphor: When you clean and organize your room, you are fighting entropy. Entropy is wanting to make your room disorganized and messy. IF YOU DON’T PUT ENERGY INTO THINGS, THEY WILL DECAY. This goes for everything in life, your relationships, finances, health. Sometimes, you have to get away from the fray. You have to step away from the rat race. You have to inject knowledge into yourself. If you don’t do this, you’re overall health will decay. Mike Tyson made 200-400 million dollars over his career. He’s now down to 15 k. He is an example of entropy. His finances are degrading. Below is a 70 year old body builder on YouTube. I have to admit, after seeing this guy, I don’t have any excuses hitting my lifting goals. To get motivation to fight entropy, you need to remember the future. always make it a habit by looking into the future and seeing yourself and talking to yourself in what you should be doing today. What do you invest in? You double down on yourself, by investing in yourself. WHY do we spend all our time benefiting other people, working for their end goals, mindlessly floating down the river of life or racing all the other rats. Seneca said that when you take an interest in knowledge and psychology, you’ll begin to learn how to transcend time. The enemy of Greatness is expectancy. Planning for things that aren’t guaranteed. You will be losing out on the hopes and dreams you had… because you didn’t know how to use your time, you wasted it when you should have been investing it elsewhere. How have you been squandering your time? What are you going to do to slow down time? I’ve taken a break on my long summaries for now and stopped at 29. If you found these summaries helpful and insightful, you should share them with a friend! It also helps this website and encourages me to write more. Still looking for All the 67 Steps? If you found these summaries helpful somehow and want ALL 67 steps then please consider getting short Summaries of the 67 Steps that contains ALL the steps! I only ask for a small fee. The summaries are great, However, if you want in depth and detailed examples and explanations from Tai and you can afford the $67, then I highly recommend his course. When he explains it in video format, he hammers home the ideas into your head, a little redundant sometimes, but he’s extremely clear. And if you won’t like it, you can always get a refund. I think it's a great program and I recommend it. I wouldn't really keep paying $67/mo though. For me personally, I enjoyed how Tai reiterated and rehashed his stories. For others, I can see how this is a big time waster! If you don't want to shell out the $67, you can still get similar advice by buying Jack Canfield's book "Success Principles... or you can buy my short & concise summaries for a few measly bucks. Great if you want to easily remember all the steps! This is one of the most thorough reviews I’ve ever read on Tai’s program! However, could you please finish out the rest of the steps!? A lot of websites out there don’t give as many details and insights as you did. thanks for sharing! I’m thinking about picking up his program, haven’t pulled the trigger yet though. This is just amazing Zachary ! excellent summaries.. are you continuing this? Thank you Zachary, I use your summaries a lot after listening to the podcast, rly helpful. I like your examples and writing style. I hope you will continue with the other steps as well. I’ve been thinking about the same thing and will probably go back to the old comment in a few weeks, thanks for the great feedback Sergio! Good content! Really helpful! Where’s the other half of the summary ^^ ? Hi Zachary, I’m a young mechanical engineer as well (ahem, a trainee engineer) in Industrial Construction, and just like you I’d want to someday become the Project Manager. After that I’d wanna jump into businesses and shake things up for ‘Good’ (Investing). I’m fascinated by types who want to make money to build businesses (to make Progress- think Elon Musk) rather than the other way around. For this I figured One would need Grace, Know-how, Knack, Connections, and Grit. I’m working on them all, and people like yourself and Tai are some of my greatest inspirations in becoming the Renaissance Man I want to ideally be. Anyway, let me conclude by saying Thanks a ton for what you’re doing here. Maybe you need a proofreader to check the spellings now and then, but the overall content value is awesome! Keep it up (please:)! And looking forward to learn from the remaining half of this article.. Cheers.. Sorry it took so long to write back, Franklin. Great to see another mechanical engineer on here! You have picked a great career to get into. M.E. is really versatile… and with engineering you can virtually travel anywhere and go contract and make twice as much money. It might not be the fanciest place, might be a place in the middle of nowhere. I’m going to write a post about my experience in contracting as an engineer pretty soon. That’s great that you want to be a project manager. It has been a great experience for me as far as MAKING me improve as a person… It’s challenging! Basically, it’s you working on a project as the middle man who is solely responsible for its progress and success. Budget, Schedule, Statement of Work, Specs, Contract and a BUNCH of change orders… it’s fun, but the most challenging thing about project managing I have found is dealing with people, how to sugar coat bad news and dealing with people yelling at you. It helps if you work for a company that sets you up for success. I find that small companies are harder to have successful projects in. It’s also highly political and you have to be super conscious about what you say to who you say it to – 24/7. It takes a certain person to be a project manager. If you want to start with making a business, one thing that Tai points out in his steps is that you have to start small and have small successes. You’ll see this with a lot of other successful people too. Very few people hit homeruns their first time at bat. Thanks for the feedback on the article, I’ll try to finish the rest of these summaries… it takes a lot of work! I just need to find the time. And YES, I do need a proof reader…lol… since the article is large, I only had time to quickly proofread it. It probably repels some people with the grammar mistakes, but I felt that it was important to get the info out there while sacrificing on some quality. I’m a perfectionist at heart and I’m trying to break that habit and focus on 80/20 Pareto principles. Anyways, keep on grinding, keep on learning, and you’ll get to where you want to be! It will always be a journey that never stops. Enjoy the ride and don’t look for a specific destination to stop. Thanks for taking the time to reply, Zachary..
Would be great to receive it. I enjoyed reading the article, howeber there are only 29 steps. Is that the summary of all 67? Sorry about that Mimo. Sometimes it takes 5-15 min for the email to send. Have you received it yet? If not please email me at info@flexyourbrain.com and I’ll send it your way! This has been extremely useful. Hope to see the rest of the steps soon! I can´t download. Never received the email. It isn´t on spam box or other place. Is there another way to download the pdf file? Sorry about that Luciano. Sometimes it takes 5-15 min for the email to send. Have you received it yet? If not please email me at info@flexyourbrain.com and I’ll send it your way! Zachary, this was extremely helpful. Thank you!! I downloaded your short summaries, and really look forward to steps 30 through 67 in a longer form. Thank you Zack for talking the time to write this. It inspired me to go back to my notes of the 67 Steps and make a simple free app – 67 Minutes on Google Play Store, in order to review and internalize the content on the go; I still prefer to come back to this page whenever I sit at my desk. Wow this was such an in depth review of the 67 steps, the section with his recomended books is so helpful. Really a nice guide through the program, thanks! Hello Zachary, you did a good job, congratulations, these 29 steps are changing my life as that of others, but I hope one day to finish all 67 steps, I purchased your short summary of the 67 steps, I read everything and I it’s really helpful, thanks, but I think there are no comparisons with long summaries, these are the best summaries I found on the internet, there is no comparison, you gave yourself to do so much to bring us the best, and we hope a day to be able to finish all 67 steps, thanks again for everything. Thank you for this awesome list. If you ever find energy to finish it I would be really thankful. Thank you for what you’ve made so far. Thanks Ivan! I’ll try to add a few more. If not, I’ll have my short summaries of 100 or so steps and habits up in the next week. This will be a culmination of all the courses I’ve been through. Might price it at a small price, but if you want something similar to Tai’s but quick and concise then this should be great. Thanks man! Appreciate that feed back! Having so many insight here, thanks for sharing dude.. this article really useful and inspiring ! Thanks Rama! It took a lot of time even if they are half of the summaries! Hi. i noticed the requests for the remaing 37 odd steps are now several months old. is the summary for the entire 67 steps available ? many thanks. Hey Frank, I’m creating a new PDF of short summaries of about 100 or so habits and steps from courses that I’ve been through such as this one like Tai’s. It will have about 2-3 paragraphs per habit / step and I’ll ask for a small price. And I’m thinking that I’ll put a list of actions and examples for each step as a supplement. I love that format. If interested, you can PM on my contact page. Hey Zack, this is an amazing article. I am currently in the Tai Lopez program for the 67 steps and I do agree, sometimes he tends to repeat some of his preachings. Nonetheless I still think he is doing everyone a service by trying to provide motivation for others. Thanks again for the nice read.